In Collaboration with Reverb Productions. After the launch of its studio business, Arré is now making its foray into the Marathi regional market with a strong slate of originals, in collaboration with Reverb productions. Reverb productions (Reverb) has been creating high quality Marathi entertainment content across web series, short films, music videos etc. including content for their rapidly growing YouTube channel Reverb Katta. With this collaboration, Reverb's regional content expertise and Arré's unique creative sensibility, wide distribution, and monetisation capabilities come together to lead the next wave of Marathi content. The first series from this collaboration is Season 2 of Moving Out, Reverb's successful hit series. Season 2 is set to launch on the Arré platforms and Reverb Katta's Youtube channel on 12th February. Commenting on the association, Ajay Chacko, Co-Founder and CEO, Arré said "Marathi cinema and theatre have been at the vanguard of creativity and the talent in this market is exceptional. Besides, the Marathi regional audience is emerging as a large viewer base for original content on digital and I believe this is the right time for Arré Marathi to bring in cutting edge original stories that resonate with a new generation of Marathi speaking audiences. In Reverb Productions we see a great fit to create premium original content at scale and I'm excited about partnering with Abhijit, Shilpa and their talented team at Reverb." Abhijit Kolhatkar, Founder and CEO, Reverb Productions said "The Marathi speaking audience is very discerning but also willing to experiment with bold new subjects and genres. Reverb has always focused on creating and presenting culturally rich content in a very crisp and relatable manner. We ensure that the content appeals equally to the smartphone generation as well as traditional viewers and their sensibilities. 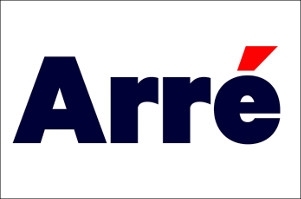 With our collaboration with Arré we are looking forward to greatly expanding the viewer base. While speaking to Sai, Ajay and the rest of the Arré team we realised that our vision was so aligned that Arré seemed like our own alter ego, time warped a few years ahead." Jaideep Singh, Director, Arré said "Exponential consumption of regional content has opened up a large consumer market for national and regional advertisers. Our content proposition for Arré Marathi is going to further enhance our offering of original content to our brand partners."